The original Rubik’s cube as being the highest selling toy worldwide and inventor has now come up with another brain teasing puzzle 360 Rubik. It’s constructed from a sphere that has two other plastic spheres inside with two small holes in them with six small coloured balls inside of these. 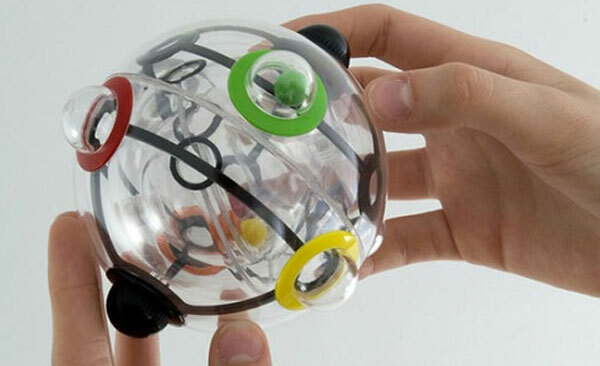 To solve the puzzle you must navigate a smaller balls to their corresponding coloured outer dome compartments. But that’s not it wants you have them in their domes in the stop them falling out while trapping the other balls in their domes. The new 360 Rubik’s should be available in the UK starting next week for around £9. No word at the moment on release dates worldwide. Unfortunately you can’t solve this puzzle by peeling stickers.